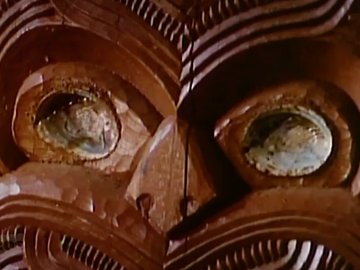 This 1962 National Film Unit production is a comprehensive survey of the history and (then) state of Māori carving. 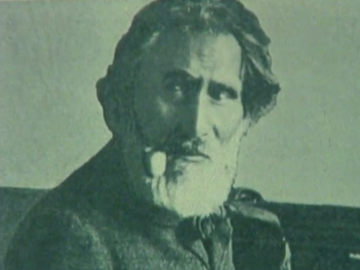 Many taonga are filmed on display at Wellington’s Dominion Museum, and the design aspects of ‘whakairo’ are examined, from the spiral motif to the origin of iconic black, red and white colouring. 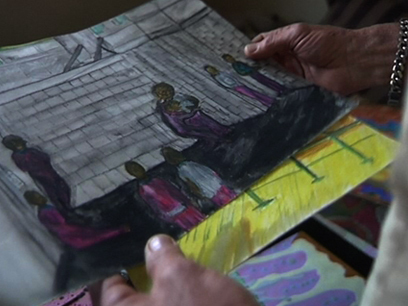 Finding reviving tradition in new “community halls”, the film shows the building of Waiwhetu Marae in Lower Hutt in 1960, recording the processes behind woven tukutuku panels and kowhaiwhai patterns, as the tapping of mallets provides a percussive presence. 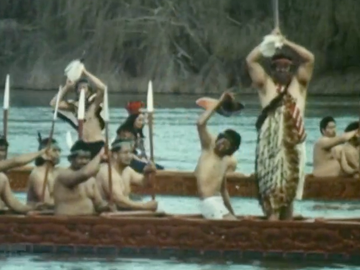 This National Film Unit documentary records the 18-month-long building process of a waka taua (war canoe): from the felling of the trees — opening with an awe-inspiring shot of the giant totara selected by master carver Piri Poutapu — to the ceremonial launch. 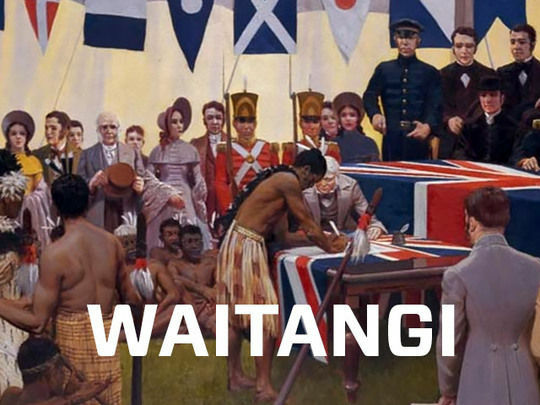 The waka was commissioned by Māori Queen, Te Arikinui Dame Te Atairangikaahu, and built at Tūrangawaewae Marae. 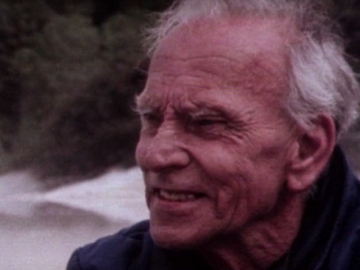 The Harry Dansey-narrated film was significant in showing the importance of the canoe-building kaupapa alongside the everyday lives of the workers (at the freezing works, the pub). This Feltex Award-winning documentary follows two grandchildren of Tommy Solomon — the last full-blooded Moriori — on a pilgrimage to Rēkohu in the Chatham Islands, to rediscover their heritage. They learn about 1000 years of Moriori settlement: Polynesian origins, pacifist beliefs (tragically tested by 19th Century Māori invasion), carvings and a seafood-based way of life. 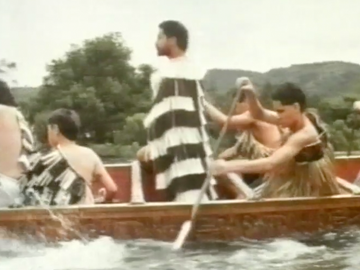 Years before Michael King’s 1989 book Moriori: A People Discovered and Barry Barclay film Feathers of Peace, this 1980 doco launched a revival of Moriori culture, and revised popular misconceptions.